The finished puzzle measures 31 x 22cm when complete. 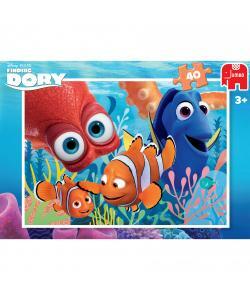 Set deep in the Great Barrier Reef, follow Dory as she goes on an unforgettable adventure to find her parents. Will she remember everything along the way? 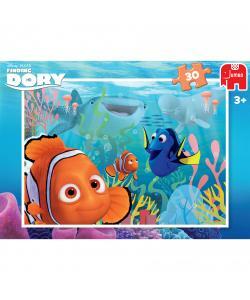 Featuring colourful characters from the movie, piece together a fantastic group image of Dory, Nemo, Hank, Marlin, Destiny and Bailey. 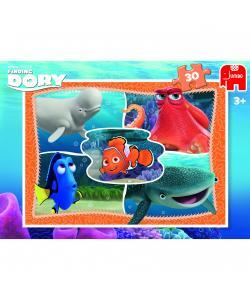 High quality 50 piece cardboard jigsaw puzzle. The finished puzzle measures 31 x 22cm when complete. Made from strong premium grade cardboard, with linen finish print to minimise glare on puzzle image.